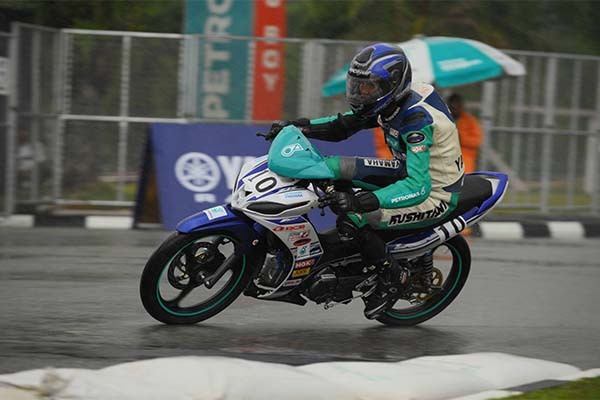 The battle for supremacy in the PETRONAS Yamaha Super Series continues and this time in Batu Kawan, Penang, Mohd Ikwanuddin Sujah became the fastest rider of the day for the 2015 PETRONAS AAM Malaysian Cub Prix Championship. With the track gradually losing grip as drizzle starts pouring in, Ikwanuddin maintained his pace trying to push the limits, still cautious as the little traction risked an untimely end to his session. Timing 1:06.801s, Ikwanuddin led second fastest rider, Mohd Azri Haris Abdul Fatah who clocked in 1:06.831s while Imran Hadi Mohd Ismawi came in third with 1:07.025s. 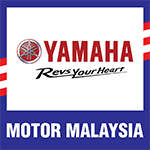 Last round’s winner, Mohd Haziq Firus was nowhere to be found in the best three while Shafeez Abdullah (1:08.379s) and Mohd Haziq Mohd Fairues (1:08.635s) became fourth and fifth fastest rider for the day.